With thanks to Hodder for the copy of this novel! As always, my reviews are non-bias and fair. The first book in a new series by Cate Tiernan, written in her signature tone of dark, mesmerising, and intriguing... What is your birthright? Since she discovered the truth when she turned 13, Vivi Neves has rejected everything her parents hold dear - their heritage, culture, traditions, and especially their dark family secret. They are haguari - cat people, shapeshifters who turn into jaguars, as their ancestors have done for thousands of years. Then, tragically, her parents are killed. Vivi can cling to her own beliefs and live her life the way she wants - or she can embrace her heritage and avenge her parents' deaths. With danger closing in on her, her decision is forced... and she's pulled deeper into a mystery that gets darker and more dangerous. Finally, she must face her heritage... or die. 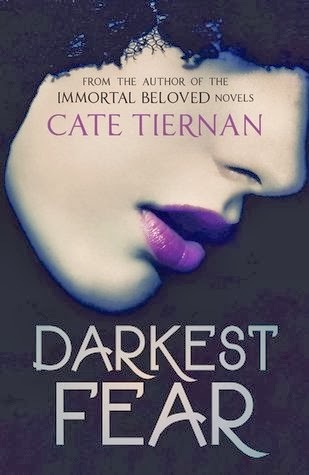 I had heard about The Immortal Beloved series before through some blogger friends, but hadn't read anything from Cate before, so I was so happy to get a copy of Darkest Fear from Hodder because it gave me a chance to see what I'd been missing out on! I must admit, the plot of Darkest Fear had me baffled; characters (including the main character; Vivi) that can turn into Jaguars! In all the paranormal fantasy-worlds I've read about, that was a first. I was pretty much already used to a character being able to be a sort of cat, being a past-fan of the show and book series; Nine Lives of Chloe King. But these Jaguars, or Haguari, as they are descended from, are very different from your usual shapeshifters. So it was very intriguing to get delved into the story. Darkest Fear is the first novel in the "Birthright" series by Cate Tiernan, focusing on Vivi Neves, a girl who neglects her heritage and traditional family secret that details that she and her family, can turn into Jaguars because of their ancestors culture that makes them Haguari; shapeshifters. Among it's fast-paced plot and twists, I had to stop a few times to catch myself up, because there's this whole backstory about Vivi's ancestors and then the element of her Parent's death that piece by piece comes to light as the story goes on. So it's one of those books that makes you think deeper into the world and not shallowly on the surface. Vivi was quite an unusual character for me. I'm used to the ones (in Fantasy books) that are so positive and influenced deeply by their heritage, but at the start Vivi is very against who she is by nature and doesn't want to accept that being a shapeshifter is her birthright. She's a very headstrong person with an innocent side that comes out toward the middle when there's a spark of romance in her life when Rafe comes into the mix, although we're not given too much away by his character, so I'm looking forward to seeing more about their developing relationship in the series. The other smaller-part characters that were a hit for me and stood out the most were Matéo and Aly, definitely. They gave the book the right "balance" and were very strong on their own and at times, even gave Vivi a run for her money, not to mention they were entertaining and interesting in the plot itself. 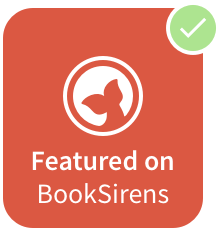 If you're a fan of Cate's Immortal Beloved series and Paranormal elements, you'll love this on your shelf. Appealing and dark, Vivi's world is unlike any other. It's definitely got the enthralling factor and a huge back-story with a well developed heritage and culture, that's pieced out as the book goes on. When it picks up by the middle, you won't want to stop until the end. Have you read "Darkest Fear"? Tell me in the comments or at @LittleMemoirs on twitter!